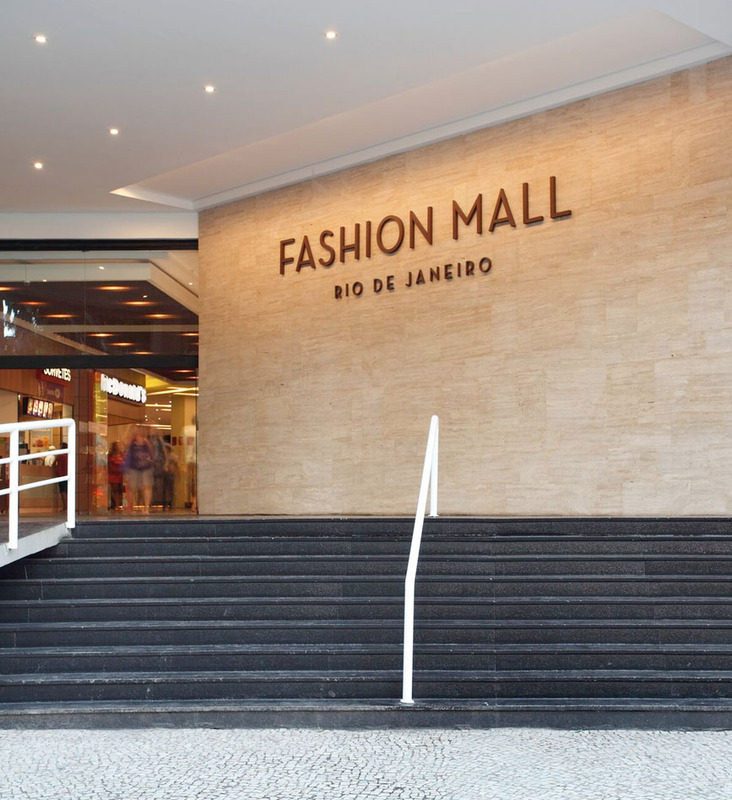 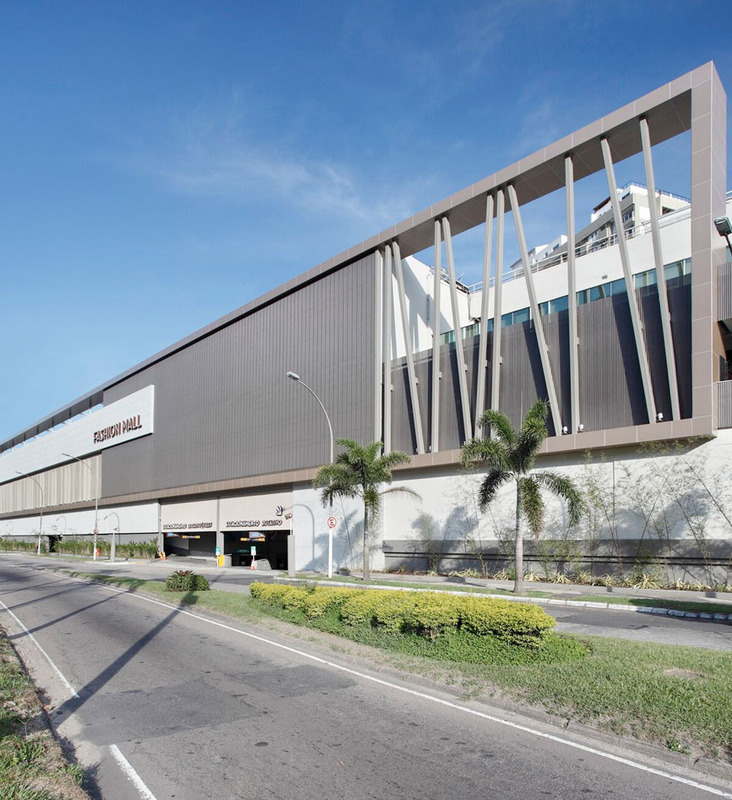 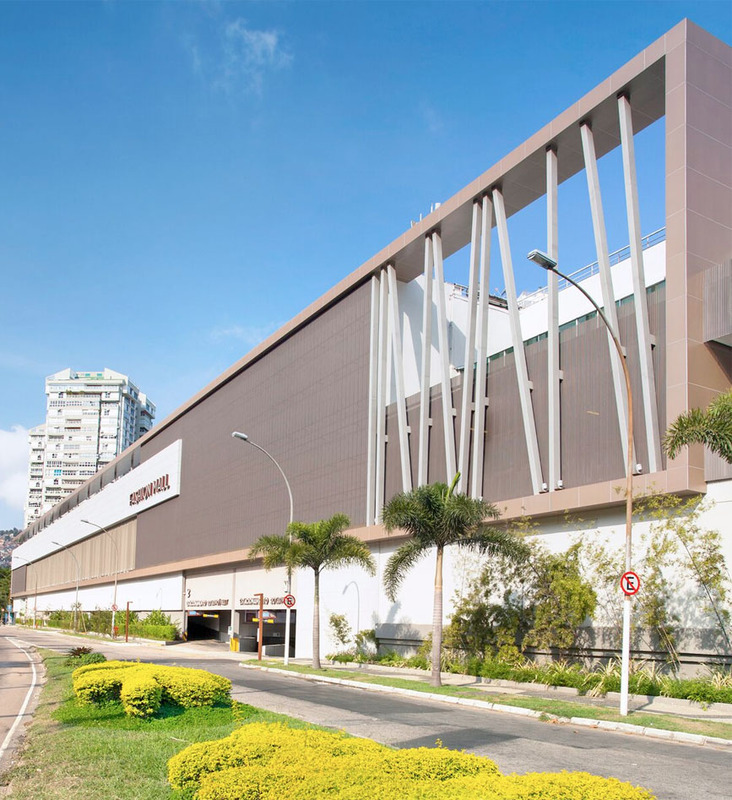 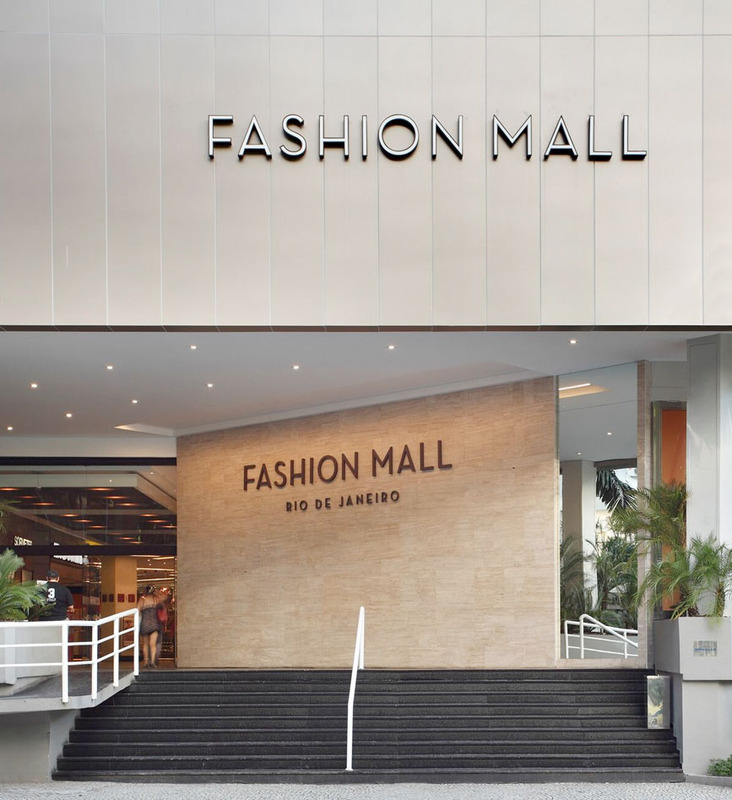 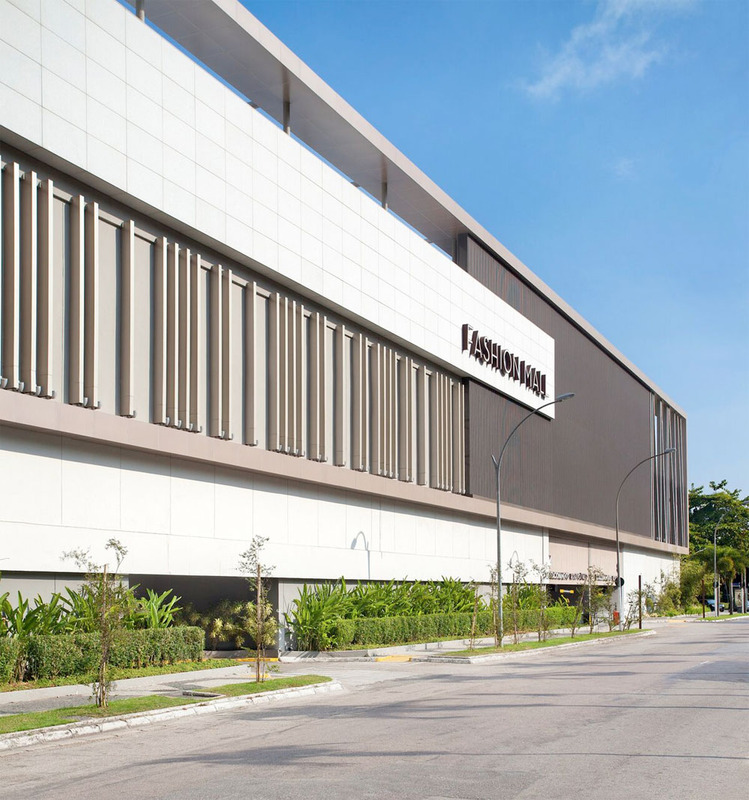 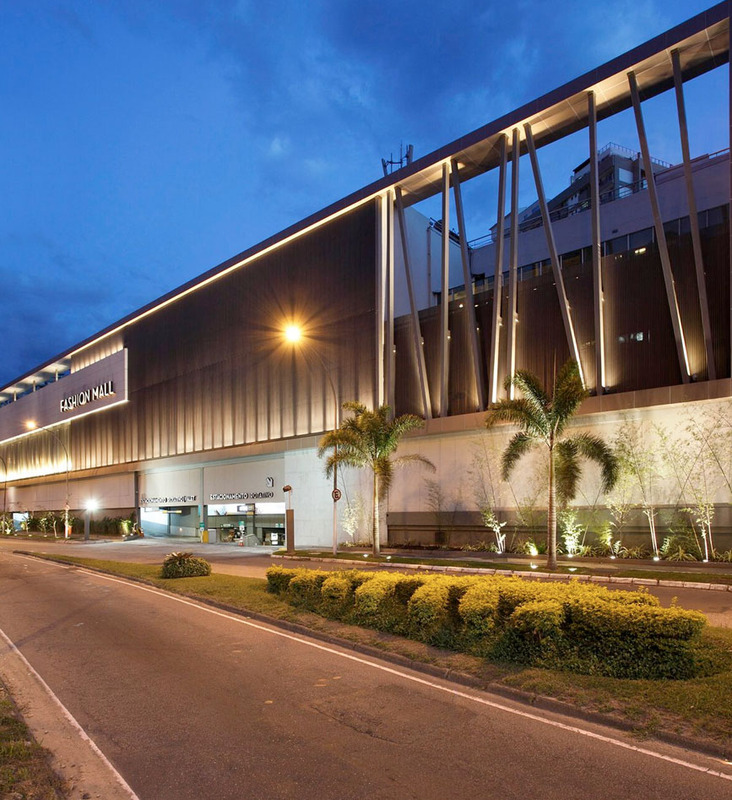 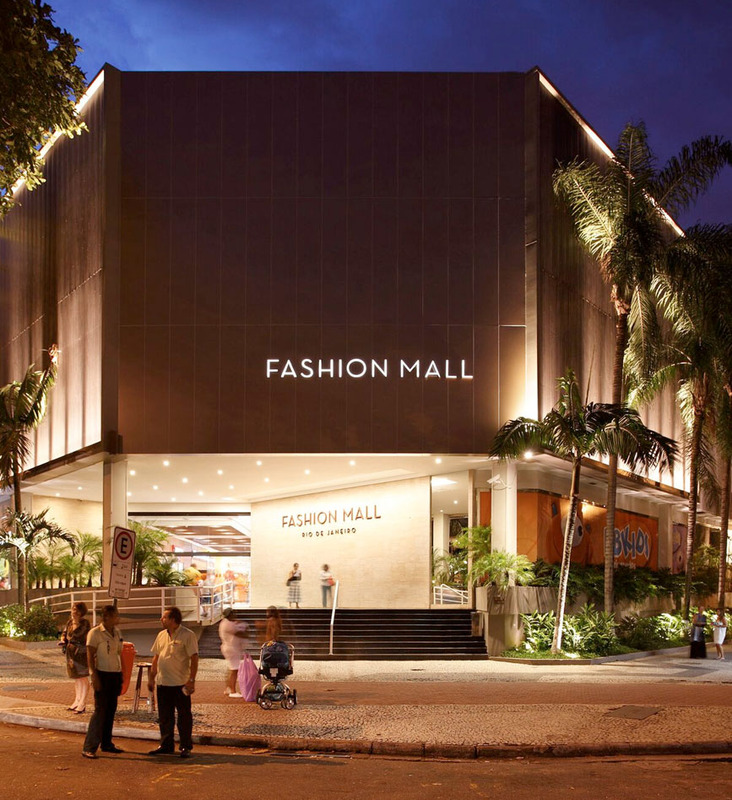 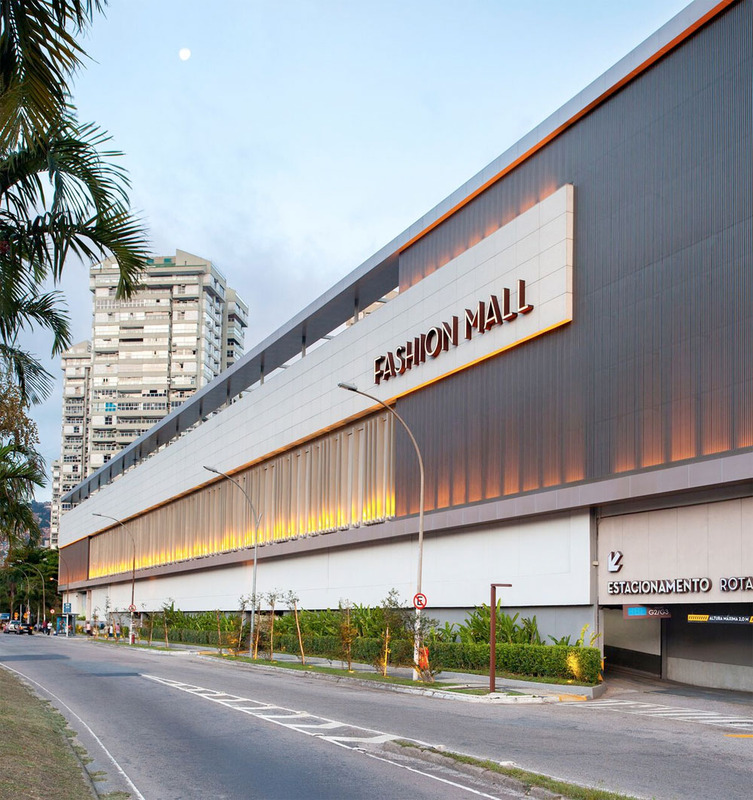 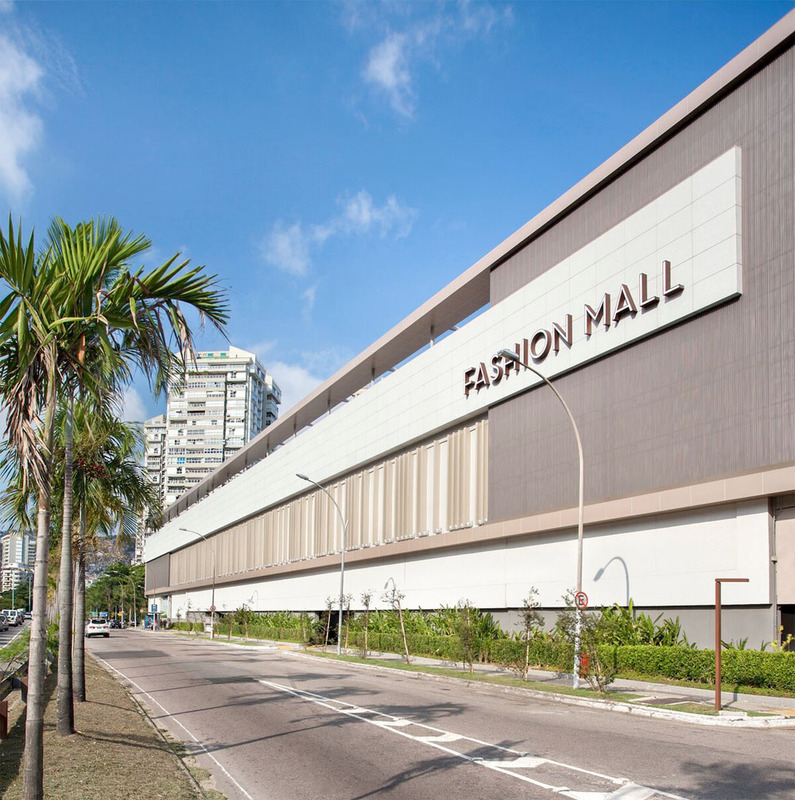 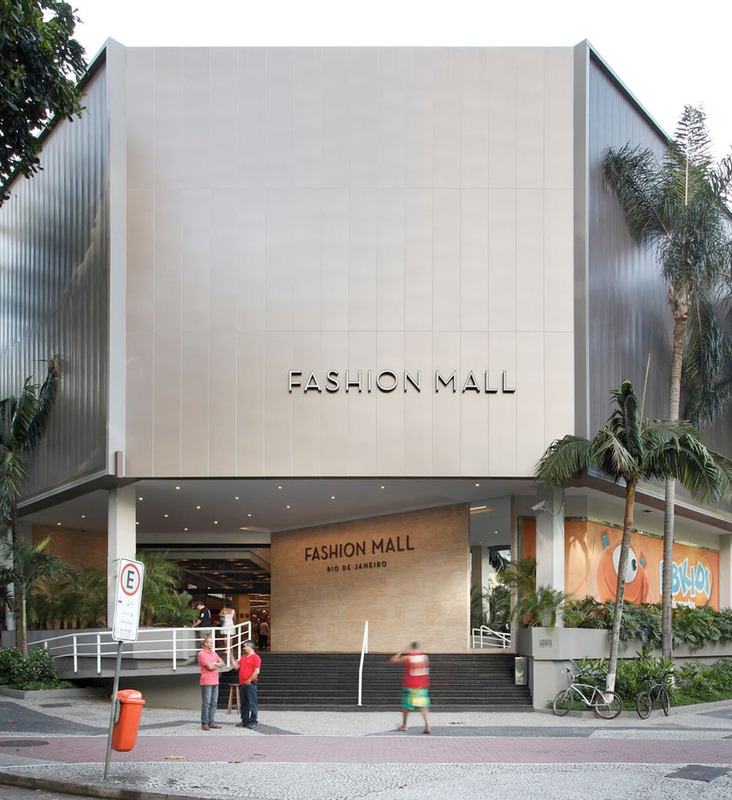 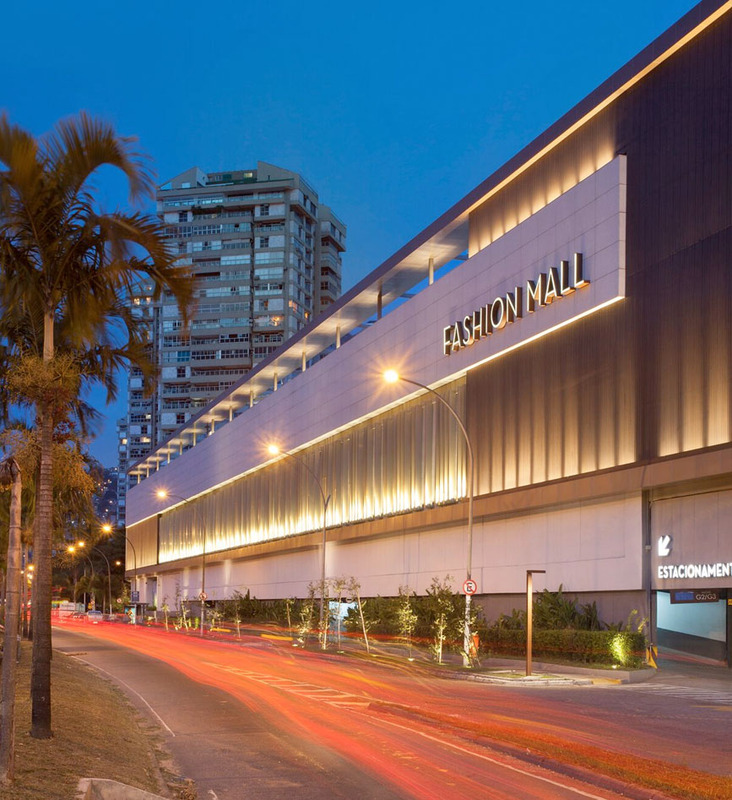 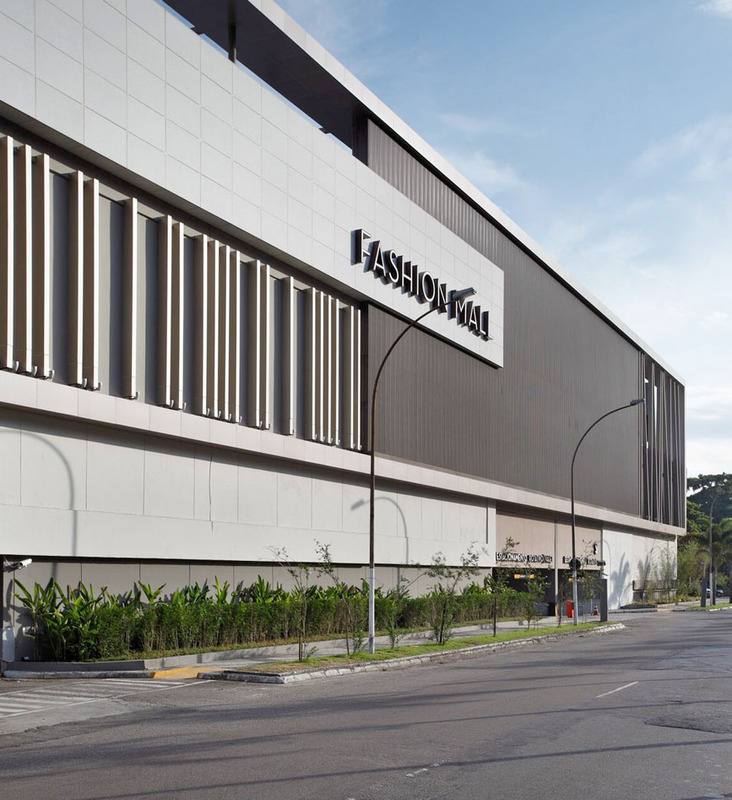 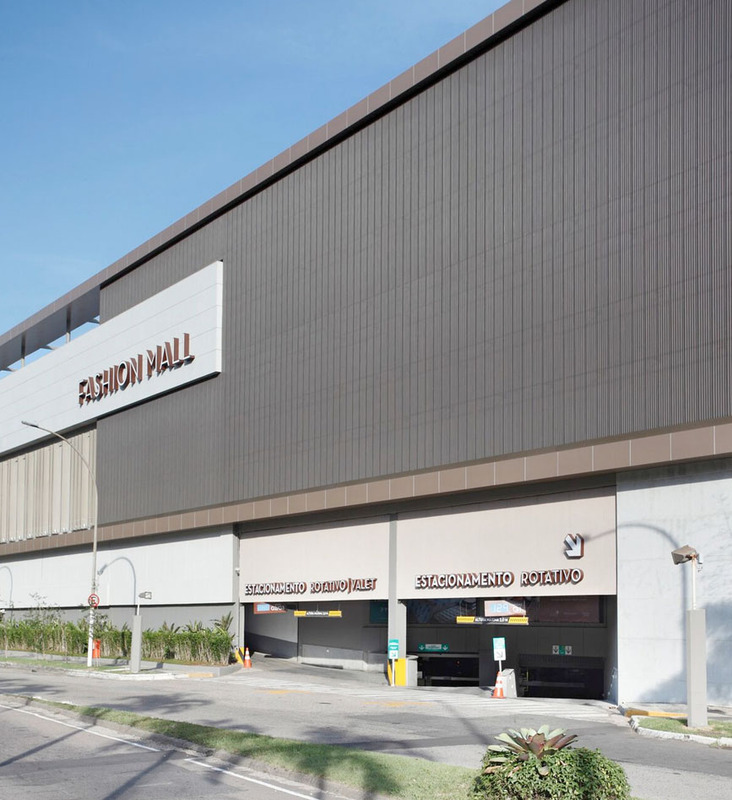 The project for revitalizing Fashion Mall façade sought a new arrangement of the building’s frontal plane, in order to bring to the architectural volume a language of immediate absorption and visual impact by the ones who pass by the mall, considering its location in a route of intense traffic and its implementation on the front limits of the land. 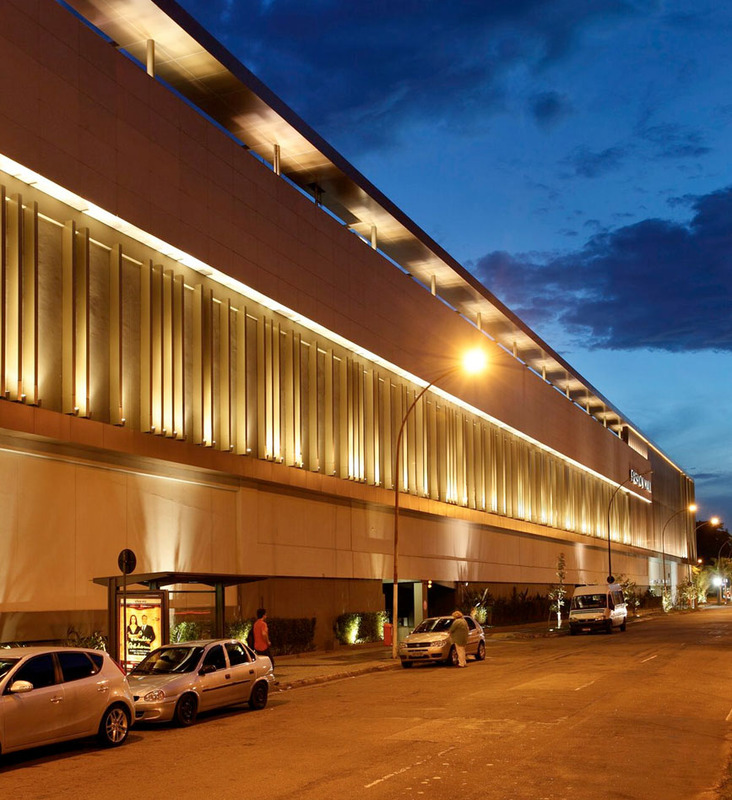 Given the impossibility of adding new architectural elements that exceeded the legal parameters of distancing from the existing building, we chose to work with negative volumes that would value the great masses. 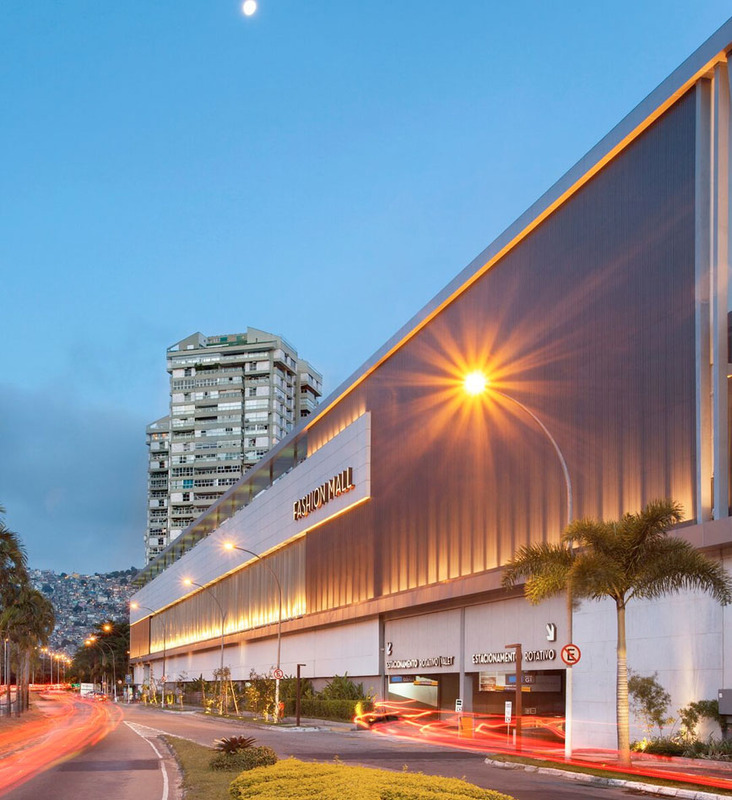 From then on, strategic empty spots came up, with the creation of a new crest for the building and the addition of the balconies to the structural elements of the façade. 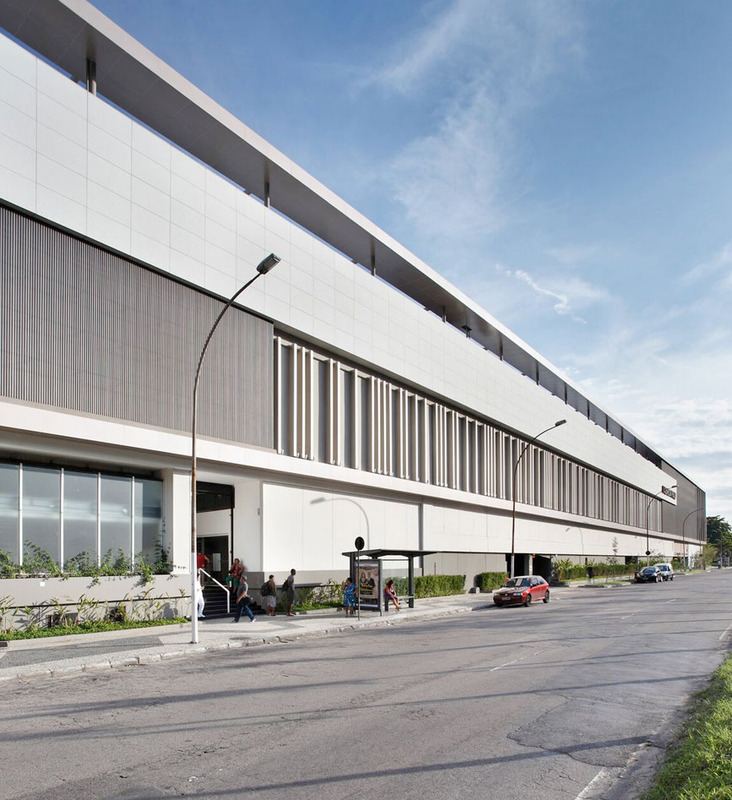 In addition to the above, from the crest linearity that enhances the longitudinal axis of the building, a framing line that comes right across the body of the building is described, surrounding the many intervention levels of the project. 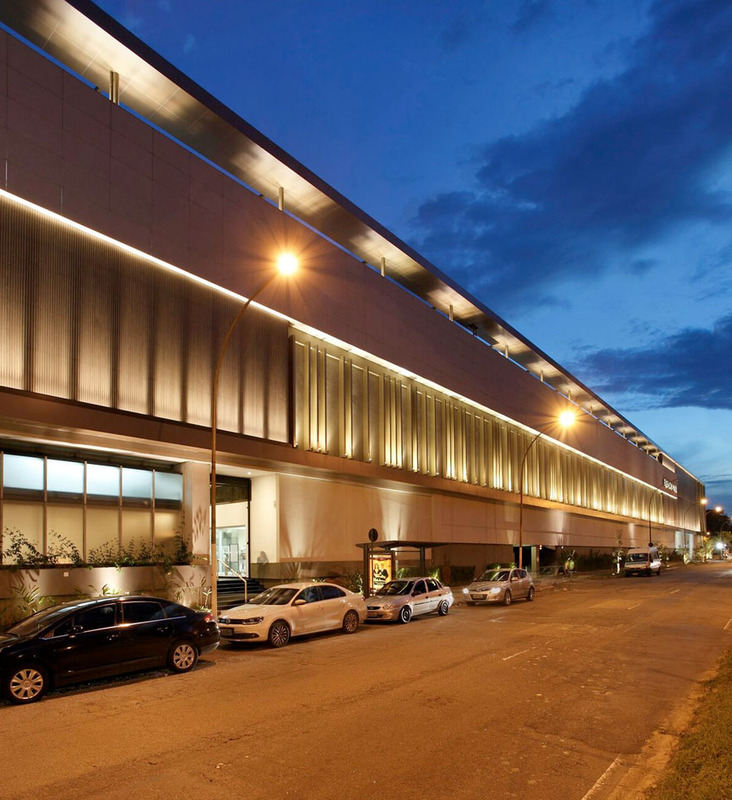 The building gained a completely new vibe, by virtue of the use of distinctive covering materials, which redefine the frontal plans, combined to a system of vertical elements that take advantage of the façade scenic character, with the solar shading hanging from the balcony structure.